Ms. Paula Ansara-Wilhelm brings more than 30 years of marketing and branding expertise to the Miracles for Kids board along with clear vision about how to further position the charity for more long term sustainability. As the driving force behind many highly visible advertising and branding campaigns in Southern California, she began her career at various Orange County based advertising agencies. Ms. Ansara-Wilhelm then headed her own design firm where she developed creative for Coldwell Banker, Century 21 and E.R.A. In true Ansara-Wilhelm fashion, to better understand the needs of real estate agents, she also became a licensed real estate agent. In 2000, she launched the luxury boutique Strada Properties in her role as a partner and VP of marketing & creative where she carved out her niche as a premier branding and marketing expert in the real estate industry. They sold Strada in 2003 after gaining #1 market share in just 3 years. Ms. Ansara-Wilhelm’s then launched Surterre Properties in 2006 as the Co-founder, the leading luxury real estate firm headquartered in Newport Beach with offices in Laguna Beach, Monarch Beach, San Clemente and Irvine. 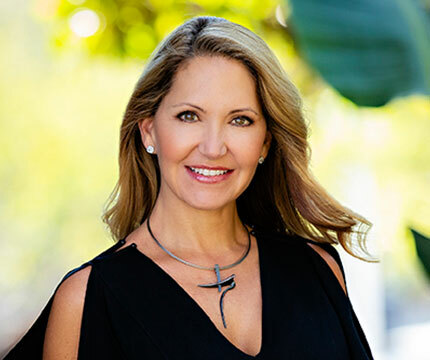 In this capacity she has developed and managed the company’s branding efforts and operations to support Surterre’s top agents throughout the competitive Orange County luxury marketplace. Surterre has one of the only in house ad agencies and on site printing press. Under her leadership, Surterre Properties’ has grown to 400 agents and has been #1 brokerage for the past 3 years. Ms. Ansara-Wilhelm’s allegiance to Miracles for Kids culminates after years of volunteering for numerous charities at every level possible. She instilled the importance of charity with her son, Brandon, and in 2005, the two of them set out to Fiji with Free Wheel Chair Mission to distribute wheel chairs to the less fortunate throughout the country where wheel chairs are sparse. Ms. Ansara-Wilhelm has been active in School Power as well as Impact Giving, Oceana and many others.